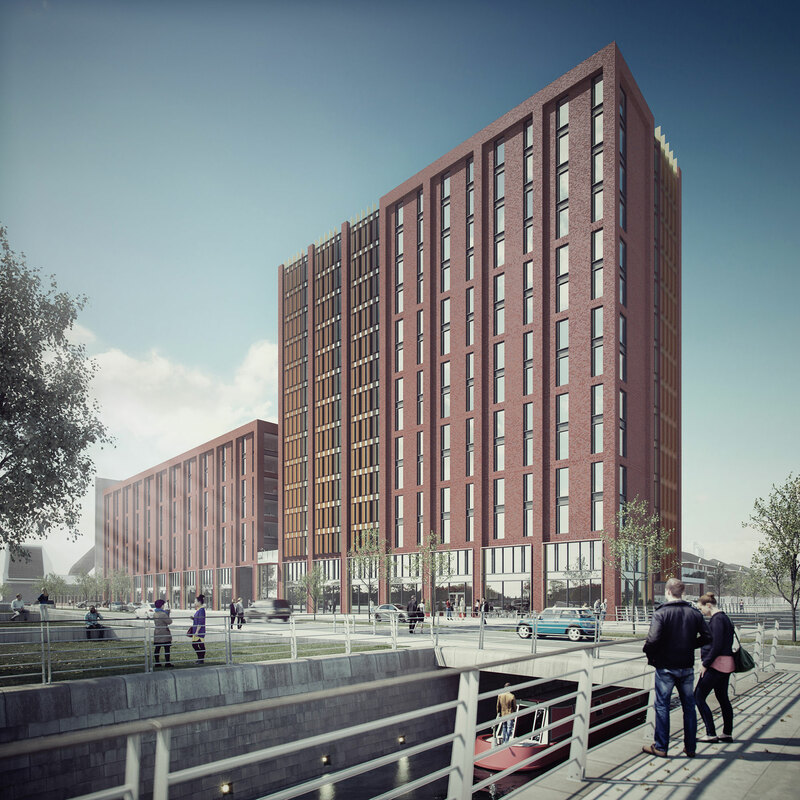 Following on from early stage designs from Blok Architecture, Ollier Smurthwaite have been appointed by Romal Capital to deliver the construction package for a mixed use residential, commercial and urban design development of 237 new build apartments situated on the edge of Liverpool City Centre, within the Liverpool Waters Masterplan. 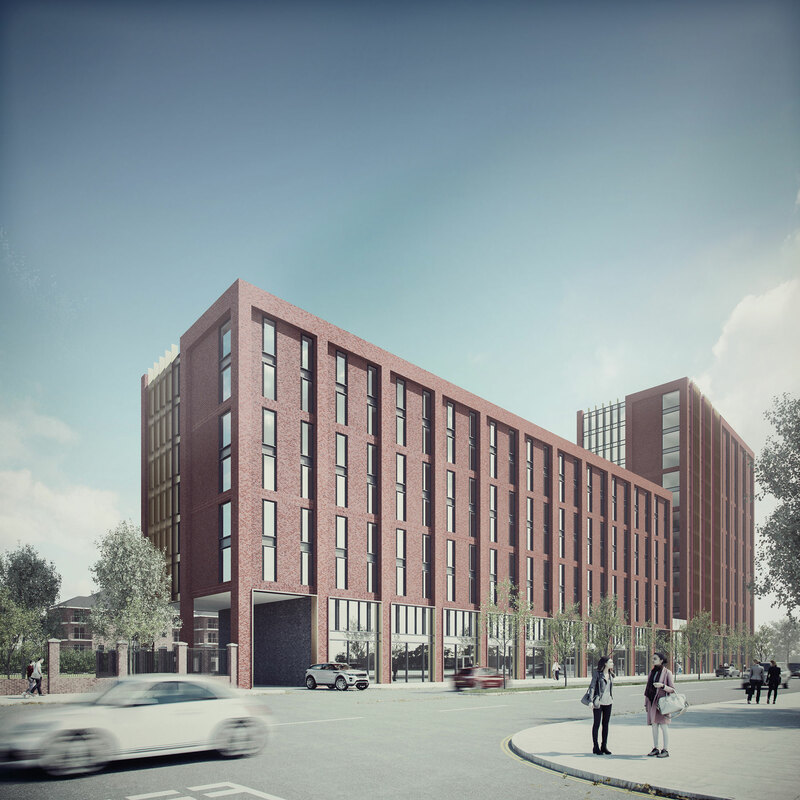 There are several site constraints surrounding the development including the Kingsway Tunnel, World Heritage & the new Northern Link Road, all of which have to be negotiated carefully. 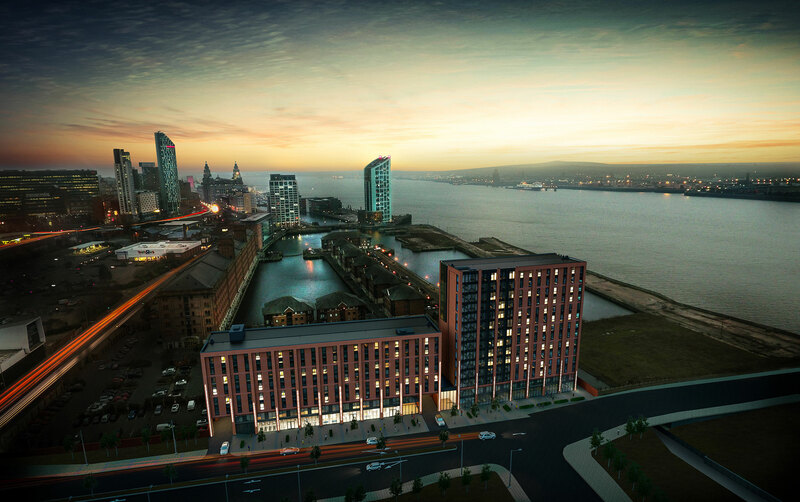 The scale of the development complies with the Liverpool Waters Parameters Plan and has informed the proposed massing. 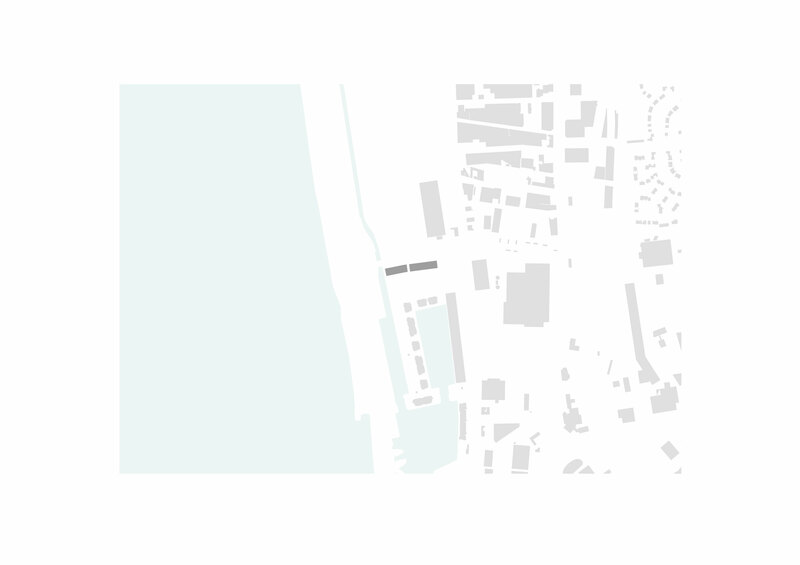 Elevation design is driven by the historic context of the site, being situated near the Waterloo Warehouse within the wider Waterloo Docks.